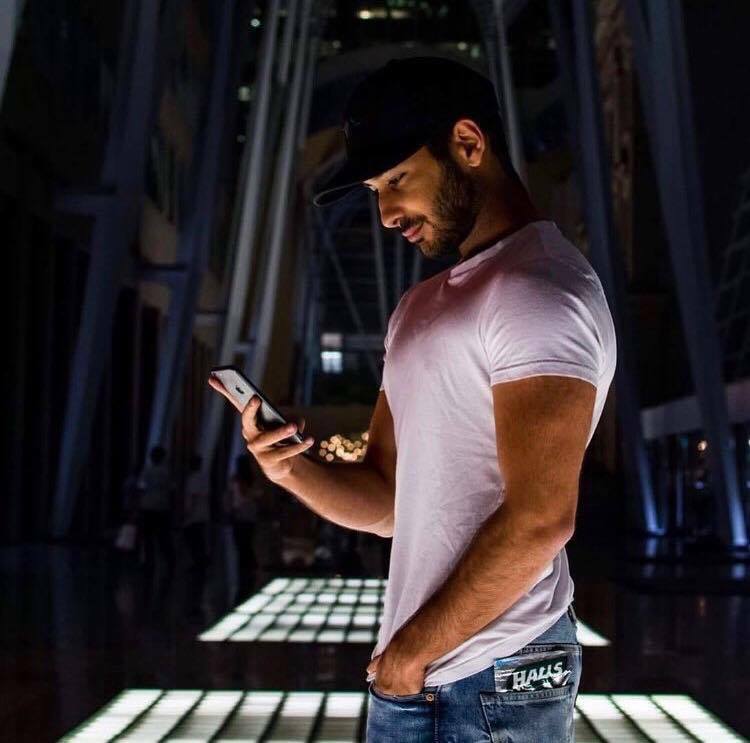 Abtin Masseratagah was one of the original influencers and creators that learned to leverage social media to control what everyone is viewing, with campaigns as large as 25MM impressions per day. Hey Abtin, it’s a pleasure to have you on the site. Let’s talk about the beginning. What made you become an entrepreneur? At the age of 11, I started making YouTube videos focused on technology and electronics, which is where I started to learn about influencer marketing and content creation. By the age of 13, I had realized that the internet was a place full of infinite potential for revenue and profits. It was then that I realized I wanted to be labelled as an entrepreneur. To me, being an entrepreneur meant giving not only myself the freedom to live life the way I want to, but also helping others reach this place aswell. I began to realize that the power of the internet can help turn your passion for music, technology, or anything else into a full fledged career and powerful source of revenue, and I started to help people do just that..
My biggest influences today involve the members of my immediate family. My family includes my parents, my grandmother, and my twin sister. These are the people who I’ve come to grow up with all my life and shared a household with. My parents had immigrated to Canada long ago and didn’t have much to start with when building their new lives. To this day I admire how hard they are working to live and maintain the lifestyle they deserve. I was inspired to learn that the best things in life take time. If you want something, you’re going to have to be willing to put in 10,000 hours before you become a master of your craft. My defining moment was when I had lost my entire social presence due to a hacker in 2011. It made me reevaluate my goals and the visions I had for a career in the digital age. I sat down and decided to get a part time job at a local pizzeria. While folding boxes everyday and cooking, I promised myself to save every dollar and get back to growing my company and resume where I had left off. Six years later, the company has grown to 7,000,000 total followers, employing multiple people while offering co-operative positions to students that wish to learn and discover the growing field of digital marketing. What kind of marketing campaigns are you doing right now? At the moment, I’m working with companies such as Republic Records, Protocol Records, Stargaze Jewelry, Ivory Ella, Electric Family, and many more on their marketing. Many of our clients have been with us for multiple years. We have become their primary reference point for Digital Marketing. Our accomplishments including getting apps into the top 10 position on the app store, assisting with driving millions of visits towards websites, and also follower growth within their social media platforms. What triggered you to become an influencer? When I was 11 years old on YouTube, my account was growing and I was making a small amount of money through the website. Twitter was created when I was 13, and I had realized, If I can use one social media platform to create a stream of revenue, why not use the others as well? I continued to grow my presence across the internet with Youtube, Twitter, Tumblr, Snapchat, Vine, etc. Soon enough I was being sent emails frequently from individuals that would want to work together and asked if I could help bring their idea to life. Marketing has always played a massive role within my life as I had come to realize. I not only learned how to market myself as an individual, but I learned to market products, music, applications, and even brands. Marketing is a universal system that can be applied in almost every situation to assist you. Marketing is my true passion. How is your service different and unique? What’s the vision? Our service sets a standard within the industry. There is a reason our clients have stayed with us for countless years, and plan to stay with us for years to come. We’ve always been completely transparent with those we work with. They know exactly where their budget goes and how their budget is being used. They understand that we want to continue working with them and that this isn’t a one time job for us to make a quick buck. Myself as the founder of the company, have been building connections within the influencer community for the course of 8 years. I’ve met many individuals that I am able to extend projects to for an increase in reach. With our personal following of 7,000,000 followers, some of our clients will tend to outgrow over time. Our largest clients that start with us from scratch have gone from needing 100,000 impressions per day, to 50,000,000 impressions per day. Our networking with other influencers has allowed us to handle any project of any size, as we have the ability to adjust, distribute, and create campaigns that extend to a specific group of influencers to complete a task of such magnitude. Another aspect that has set our company apart from others is that we are able to focus on niche-specific targets while others in the space are still struggling as social influencing can tend to have much overlap and generalization within the target audience. The company has been expanding every year at a rapid rate, with strong confidence that we will be Canada’s front running Digital and Media marketing company within the next 10 years as all marketing continues to move into the digital universe. Who are your customers? How do you find them? Every client that has worked with Northrn Mo, has been referred by other clients and has been patient enough to wait for openings as there is a wait list of up to a month. Many clients have been with the company for the course of years, and we intend to give every client the time they deserve to make their campaigns truly unique and effective. If you have a hobby or a passion, push it to its peak on your free time. If you have the nerve, anything is possible. The internet is a place where anyone can do anything. It may take you 1 hour or 10,000 to go viral and build your dream career. FOLLOWER COUNT DOESN’T MEAN EVERYTHING. With the option to post on an account with 2,000,000 followers vs 200,000, aim for engagement, because this at the end of the day is what will result in your goal of growth, sales, etc. As time progresses, botting is becoming a regular thing. Individuals are able to spend a few hundred dollars to receive millions of followers. This is one of the many reasons our company exists, we’ve become experts in the field and know where to spend the marketing budget for TRUSTED results. I’ve had countless clients prior to reaching out to us, tell us horror stories where they spent thousands of dollars from their marketing budgets only to receive zero results. Enjoy the little milestones. Take pride in the small accomplishments as they build. I’ll never forget the first day I managed to make $50 in a day at the age of 14. I was astounded, shocked, and the most important part, happy. As the company grew, I always celebrated the little milestones. The journey we find ourselves in as entrepreneurs is lifelong and many choose to beat themselves up for not exceling fast enough to their final stage goal. You need to take care of yourself mentally and realize this. You need to take pride in the small accomplishments and learn to enjoy this journey, because many will let it destroy them and that takes a toll mentally. In turn, they lose their motivation thinking that they will never reach their goal they had originally intended to because it is so far away. By far, “People over Profit” by Dale Partridge. This is a book that I read on my flight from Toronto to Italy. It taught me so many things. At the end of the day, the world is run by money and this isn’t something we can deny in any way, but I can truly say the relationships I’ve made over my 8 years within the industry outweigh all the money I could ever make in 10 lifetimes combined. You’ll learn to realize that money isn’t everything, it’s who we surround ourselves with, how we treat those around us, and how we need to see life as a goal that needs to be worked on together. By nature, we are social beings after all. Personally, I see myself teaching this craft while continuing to grow the company. The organization has been exponentially growing every year and we hope to be the front running Canadian digital marketing company within the industry. I see myself completing a PHD within marketing and teaching these new world marketing techniques that I’ve assisted in pioneering. Digital marketing is still very new and still very much on the rise to conquer all aspects of marketing as a whole. As the world continues to immerse itself within the digital universe, we must adjust and take advantage of the opportunities it can hold. Alice Li: "Beauty Pageants Gave Me a Competitive Edge in the Business World"
Wow, this man’s definitely going places!